UH Alumni: Aloha spring 2018 graduates! We’d love to stay in touch with you. Click here to update your contact information so you can receive alumni e-news, event invitations and more. Connect with us on Facebook, Twitter and Instagram. Don’t forget to use our hashtag #UHohana! Finding a job can be challenging. Click here to view job opportunities as well as other job-related resources. 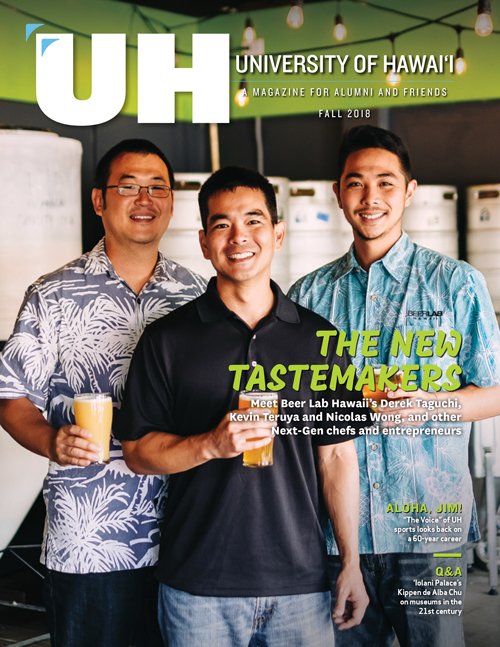 UH Magazine is a biannual publication highlighting news from the university’s 10 campuses and celebrating UH alumni. Click here to view the most recent issues of UH Magazine and stay tuned for upcoming issues.